Integration of distributed energy resources (DERs) brings huge challenges to distribution systems. Among many control room applications, distribution system state estimation (DSSE) is regarded as a key tool to establish the relationship between state variables and abundant measurements for system monitoring and analysis. The emergence of DERs poses multiple uncertainties, resulting in stringent requirements for system modeling and operation practices. 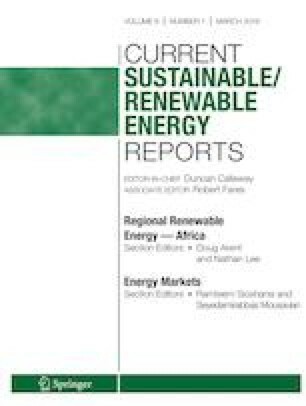 This paper summarizes the state-of-the-art approaches, techniques, and challenges in the uncertainty modeling of DERs in practical power system and electricity market operations. DSSE has become increasingly important to realize appropriate monitoring and control for active distribution systems. The current research focuses on more precise and robust uncertainty modeling of multiple DERs in DSSE and the application of big data analytics. Probabilistic methods also emerge as a major research direction for these studies. Accurate and effective modeling of DER uncertainty calls for holistic improvement. Moreover, machine learning and data-driven techniques exhibit great potential in such applications. Future work is expected to accurately capture the stochasticity and variability of DER outputs in the operational and market models, and thus lead to great economic benefits. Dehghanpour K, Wang Z, Wang J, Yuan Y, Bu F. A survey on state estimation techniques and challenges in smart distribution systems. IEEE Trans Smart Grid. to be punished. https://doi.org/10.1109/TSG.2018.2870600. De Martini P, Kristov L. Distribution systems in a high distributed energy resources future. United States. 2015. https://doi.org/10.2172/1242415. https://www.osti.gov/servlets/purl/1242415. Deng R, Zhuang P, Liang H. False data injection attacks against state estimation in power distribution systems. IEEE Trans Smart Grid. 2018. https://doi.org/10.1109/TSG.2018.2813280. Bhela S, Kekatos V, Veeramachaneni S. Enhancing observability in distribution grids using smart meter data. IEEE Trans Smart Grid. 2018. https://doi.org/10.1109/TSG.2017.2699939.